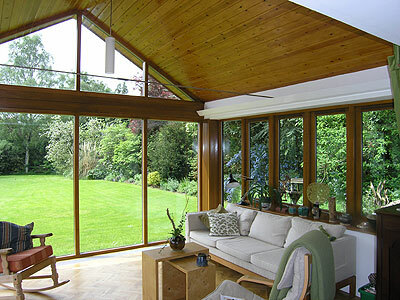 It is often said that next to buying a home and a car, a conservatory is the greatest single investment made in life. As such choosing the right conservatory can be a daunting task. In addition to the myriad of styles available, there are a great number of stages to go through, from the initial survey and application for planning permission through base-laying and installation to furnishing the conservatory and regulating its temperature for optimum comfort. Of all the decisions to be made, however, the question of which conservatory manufacturer to award the contract to is the most crucial. To narrow down the number of conservatory designers to approach, it is worthwhile establishing the sort of conservatory you want to build. The easiest way to do this is by deciding what you will be principally using it for. Do you have a simple occasional sunroom in mind or a more permanent structure that can be used most of the year, or do you want an additional living space that is functional all year round, no matter the weather? Have a look at conservatories attached to homes similar to yours, flick through magazines such as Homes and Gardens, browse the internet and send off for brochures to get an appreciation of the different designs that are available on the market. 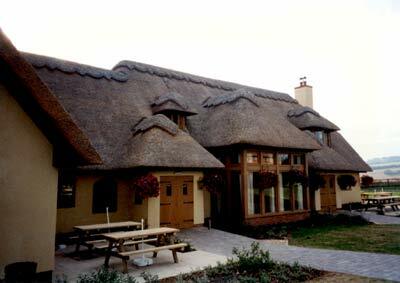 If you have a particularly large or difficult project in mind it is a good idea to have your plans drawn up by an architect who can clarify what you will be able to do. Once you have decided upon the function and style of your conservatory, the next step is to decide what building material to use. It is advisable to determine these things as far in advance of entering into contract negotiations as you can, because it is very much in your interest to be as specific as possible. 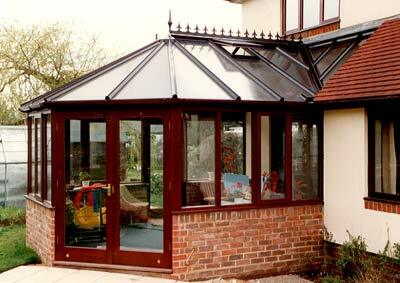 Three principle materials are used for conservatories. PVCu. The cheapest and most popular option, this is an excellent, highly insulate material that requires little or no maintenance and comes in white, Mahogany and Cherry Oak wood grain. It is not, however, acceptable for use in more traditional designs and as such is not advisable to use for listed buildings and in conservation areas. Aluminium. Very similar to PVCu, though stronger, more expensive and not as good an insulator. Most appropriate for use in conservatories where strength is a major issue, and for this reason aluminium is regularly used in the roof structure of PVCu conservatories. Once you have decided on the design and building material it is worth calculating the internal floor area of your proposed conservatory, because most suppliers will quote sizes based on external specifications and doing your own calculations could save you money. Now you are all set to visit conservatory manufacturer’s show rooms to see what is available. But what makes a good quality showroom and what should you look for on your visit? Well, a good quality conservatory supplier should have examples of conservatories built to different specifications and styles and might even be able to offer a computerised bespoke design service that can show you how the finished article will look. In addition, it is worth considering the following. Have they given a full explanation of how the average temperature inside the conservatory varies depending on its position and how it can be regulated? Have they explained how different glazing materials and ventilation techniques can be employed to maintain a comfortable environment throughout the year? Can they demonstrate the construction process clearly and is it possible to meet with a prospective project manager who will be by your side throughout the course of the building work. Do they have the necessary certification from suppliers to carry out the sort of work you require and will they be happy for you to see some of their previous work and speak to the owners about how the installation went and whether they were happy with the end product? And while we are on the subject, do they offer a meaningful warranty for the work that is carried out? In addition to the above points it is worthwhile arranging to meet with the builders who will carry out the work and visit the site they are currently working on. These are the people you will be spending the most time with, so it is important that you get along with them and that they keep a clean, orderly site. Also ask to meet with the subcontractors, should any of the work be subcontracted out, to ensure that they have a good history of being paid on time by the company you are awarding the work to, and check that the builder has public liability insurance plus employer’s liability for the work. You don’t want to be responsible for any accidents occurring on the site. Once you have contracted a company to build your conservatory for you and arranged your financial affairs so that you will be able to pay for it, don’t forget to inform your insurers about this new addition to your house and make certain to get the appropriate planning permission permits, because most conservatory supplier's conditions of sale specifically put responsibility for obtaining any such approvals on the customer. The best of luck for your proposed conservatory, and remember, the more time and effort you put into something, the more you will get out of it in the end, and this rule is especially true when building something as intricate and personal as a conservatory.